The final session on Saturday morning was highlighted by an interview with Jimmy Carter, worship leadership by Kirk Franklin, and a final message by Bill Hybels. I've always had great respect for Jimmy Carter. Politically, he and I stand on opposite sides on many issues. But I can still learn from him. Bill Hybels frequently faces criticism for the guests he invites to the Leadership Summit. Inviting the former President was no exception. Personally, I like to hear from people with whom I don't agree. I like for people to mess with my mind. And anyone who has attained high levels of leadership success, certainly I can learn from him/her. The interview with Jimmy Carter revealed some important leadership and life lessons that I need in my own life. Carter has a tremendous passion for world peace. How often do I pray for peace? Effective leaders can possess a gentle, humble spirit. His courage in striving for racial reconciliation serves as a model for all. Grace in the midst of defeat. Carter could have been bitter after his unsuccessful re-election bid. Instead, he and his wife moved on with their lives, living out their passions for resourcing the needs of the poor. In his final challenge, Hybels talked about the power of inspiration. There were tons of takeaways for me in this message. He answered four questions. 1. How much does motivation matter in a person's work? It matters a lot. Studies show a 40 percent differential when a person is motivated in his job. 2. Whose job is it to keep me motivated? It is my responsibility. 1 Samuel 30:6--David encouraged himself in God. I must never blame anyone else for my sagging spirit. Nobody wants to follow a leader who mopes around. I must stay crystal clear about my calling from God. Make sure I leverage my spiritual gifts the way God gave them to me. Make sure the players on my team are inspiring people. Read biographies of people who beat the odds to accomplish great things. Rub shoulders with e.i.p. 's (exceptionally inspiring people). Participate in e.i.e. 's (exceptionally inspiring events). Pay attention to physical disciplines. Pay attention to my working environment (my office should be furnished with things that are conducive to an effective working environment). Have inspiring recreation outside the work environment. Practice daily spiritual disciplines that keep me spiritually fit. 3. What's the best way to inspire those around me? The best way to motivate others is for them to see a motivated me. Inspiration is contagious. Connect everyone I lead to a compelling cause, a grander vision. Learn the inspiration language of everyone on my team. Identify and reduce every demotivating dynamic I possibly can. Celebrate every sign of progress toward our shared goals. 4. What would a church look like where every member was inspired? Just take a look at Acts 2 and you will get a glimpse. Verse 43 says they all felt a sense of awe at what God was doing. It is these kinds of churches God is asking us to lead. I look forward to the Summit every August. It's always a lift and is always filled with dynamic leadership takeaways. Next year's event is August 7-9. Will you pray about going next year? Before the primary speakers Bill Hybels in ten minutes time presented the results of an extensive study his church conducted on the spiritual growth of the Willow Creek family. His remarks resonated with every pastor present. In a nutshell, Willow discovered that they were doing a great job helping pre-Christians and new/young Christians progress in their spiritual journey. They were doing the least effective job with those considered to be the most spiritually mature members. They were hearing the common complaint, "We're not getting fed." Where they failed was not in providing deeper Bible study opportunties. Where they missed the boat was early on helping new, emerging Christians learn how to feed themselves. Remarkable insights that certainly apply to Chapin Baptist. Porter is one of the world's foremost authorities on competitive strategy. It was interesting to see how our Chapin Baptists responded to his presentation. It was like we were in a doctor's level business school. A few of our folks were eating up his words. Others were bored stiff. My best takeway from this session--our need to establish goals for every ministry/project we do. What do we hope to accomplish? What are the most pressing needs within the church body? What are the most pressing needs in the community? What gifts/talents do we have in the body that will meet those needs? This was a super interview that Bill Hybels conducted with the former Chairman of the Joint Chiefs of Staff and Secretary of State. Let me give you some of what he calls his "Powell Principles". Leaders should promote a clash of ideas. "Argue with me." Then the leader, after hearing arguments must say, "Here is what we will do." Encourage a noisy system. Pull out of people as much knowledge as you can. Only people get things done. Not charts, lectures, etc. Maintain an open door policy. Give people freedom to pop in to provide input and feedback. Reward your best performers. Get rid of your non-performers. Be prepared to disappoint people and to make the.m angry. Make sure you have fun in your command. Avoid war if at all possible. Prepare to be lonely. It is the leader who has to go home after having made the tough decisions. 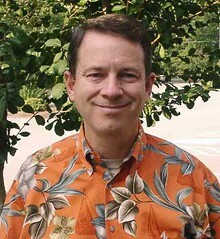 John is pastor of the Menlo Park Presbyterian Church near San Francisco. He wrote one of my all-time favorite books If You Want to Walk on Water. John hit a grand slam with his message. Using the book of Esther, he talked about A Leader's Greatest Fear. The theme that stirred up lots of further discussion with Chapin Baptists was the idea of "shadow missions." Anything that detracts or distracts from the primary mission is a shadow mission. Even if the shadow mission is only 10 degrees off the primary mission, we are off track and need to be recalibrated. We talked in our circles about how often pride and success can become shadow missions. Jesus often had to deal with the temptations to get off track from His main mission. His shadow mission--how can I be Savior without going to the cross? How can I be Messiah without suffering? The question from Esther that lingers on in our hearts--Who knows but that you have come to a time such as this? Curtis is a well-known and respected screenwriter (Four Weddings and a Funeral; Notting Hill). He has done significant work in dealing with Third World debt and poverty in Africa. This interview was refreshing, enlightening, and soul-stirring. Here is a fellow who admittedly does not have faith issues settled, someone who lays no claim to being a committed follower of Christ. Yet he is making a gigantic impact addressing the needs of the poor in Africa. He has raised a billion dollars in providing assistance. The students with us on this trip were very disturbed and moved as they saw some of the dire needs in the Third World. They want to make a difference. As Christians and as leaders in Chapin Baptist Church, are we doing all we can to resource poverty-stricken areas in our community and beyond? What more do we need to do to focus on Third-World poverty?